[UPDATED] SUNY Geneseo’s education school inched closer last night to a partnership with the Rochester school board and School 19. 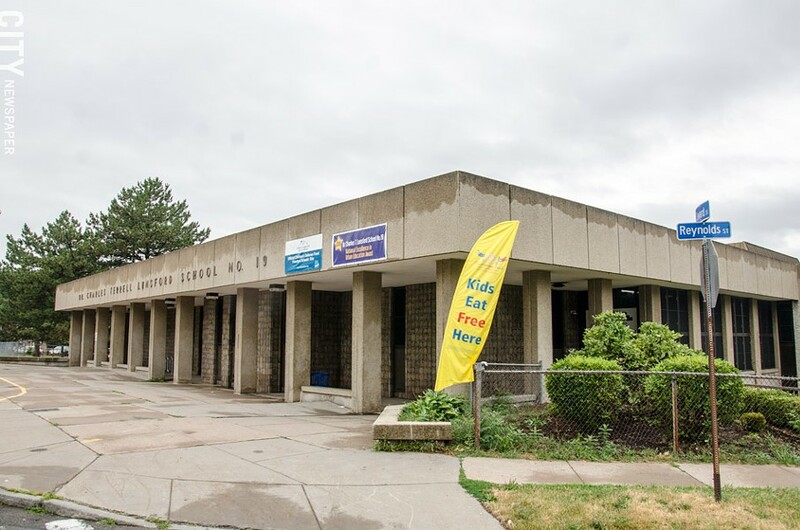 It’s a sign that the Rochester board is continuing to seek help from outside organizations to help turn around some of its most troubled schools. In a presentation to the board, a team of district and SUNY Geneseo educators made a strong case for taking over the management of the low-performing school and revamping its current structure. The teacher-led school they described could dramatically improve School 19 students’ achievement over five years, they said. SUNY Geneseo officials hope the partnership would start this summer, but first they have to get approval of the board and state SUNY officials. White has repeatedly pushed for creating more school choices for parents while the district simultaneously improves its most academically challenged schools. A proposal to create a military-style academy last year drew both praise and sharp criticism. If SUNY Geneseo’s proposal is approved, it would give the district a second school, this one an elementary school, to be managed by a local college or university. Under SUNY Geneseo’s management, School 19 would be different from any other in the district. Currently each classroom has one general education teacher. In addition, special education teachers provide services for classrooms with children needing that assistance. In the SUNY Geneseo model, two classrooms would be combined, with staff acting as a team: two general education teachers, a special education teacher, and a teaching assistant. A pilot program was implemented in School 19’s third and fifth grades in September, and the results in reading and math seem promising. School 19’s teachers and principal would work together to develop the curriculum and school culture. And a yet to be named superintendent of the school would report to the board. But Anjoo Sikka, dean of Geneseo’s school of education, said that there was no need to renegotiate labor contracts. The UR, in contrast, reached an agreement with the board and union employees to ask every individual working at East High to reapply for employment there. The bigger stumbling block to board approval may be funding. School 19 would receive a $2.5 million school improvement grant from the state over five years. But the Geneseo proposal requires additional staffing - the teaching assistants - and it’s not clear whether the state grant would be enough to cover them. White told SUNY Geneseo officials last night that the partnership can’t require additional district funding above School 19’s yearly budget. Board member Jose Cruz also expressed concern that the partnership relies heavily on a state grant at a time when there is uncertainty about federal funding for public education. Nor are academic results guaranteed. The UR’s relationship with East High, now in its second year, is showing some incremental gains, but the school’s academic performance is a long way from a complete turnaround. Still, the proposed SUNY Geneseo partnership with School 19 has some strong support.